Hopefully Varvara Lepchenko and Lisa Raymond enjoy England, because they’ll be spending a considerable amount of time there in the near future. Currently playing in Wimbledon, the two players with Middle States ties will be back at the All England Lawn Tennis Club in less than a month when they represent USA Tennis in the 2012 London Olympic Games. The tennis portion of the Olympics will last from July 28 through Aug. 5. 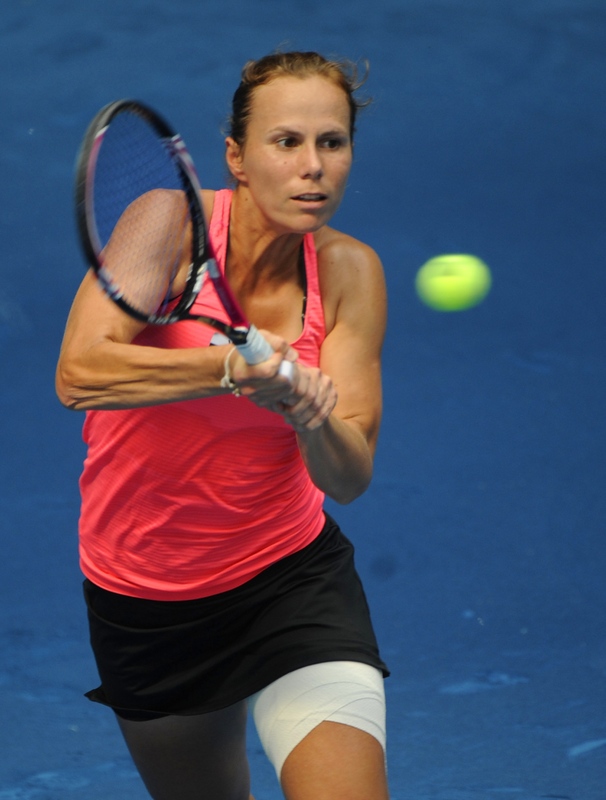 Lepchenko, at 26, will be making her first Olympic appearance. Originally from Uzbekistan, Lepchenko became an official U.S. Citizen last September and currently resides in Allentown, Pa. Lepchenko should carry some decent momentum into the competition, as she’s coming off her best-ever finish in a Grand Slam singles event: a fourth round appearance in the recently completed French Open. Lepchenko and Sloane Stephens were the only two Americans to advance that far. She will be one of four women’s singles entrants for the United States. Lisa Raymond, who will play doubles, has a bit more experience. A former two-time NCAA singles champion at Florida in the early 1990s, a winner of six grand slam Women’s doubles titles along with four grand slam Mixed Doubles championships, and a 2010 inductee into the USTA Middle States Hall of Fame, the 38-year-old originally from Wayne, Pa. has done it all throughout her career and is set to make her second appearance in the Olympics. Raymond has twice reached the ultimate goal at the All England Club, winning Mixed Doubles in 1999 with Leader Paes and Women’s Doubles in 2001 with Rennae Stubbs. She will be looking to improve upon her 2004 doubles appearance that saw her and Martina Navratilova reach the quarterfinals in Athens, Greece. Raymond should have a pretty good opportunity to do just that, as she and Liezel Huber are currently the world’s top-ranked double team, making Raymond the oldest woman to have been ranked number one in singles or doubles. The duo won the 2011 US Open last summer. USTA Chairman of the Board and President Jon Vegosen also spoke highly of the American players and provided some insight about how significant this next month could be for the sport of tennis. “That the competition is is being held on perhaps tennis’ most hallowed grounds, these Olympics will surely augment a memorable summer of tennis,” said Vegosen.